Body Bank Fitness prides itself on offering comprehensive health & wellness services. From our elite personal training, state-of-the-art Spin Studio, on-site Certified Holistic Nutritionist, Licensed Massage Therapists & experienced Chiropractor, we aim to provide personalized programs to meet individual needs and goals. At Body Bank Fitness, we concentrate on you, so you can concentrate on achieving your goals. No two people are alike. Not everyone has the same needs. No matter what your objective is – losing weight, building muscle, aerobic excercise, sports specific training, flexibility, or overall fitness and well-being – our staff of professionals will design a program specifically matched to your needs. 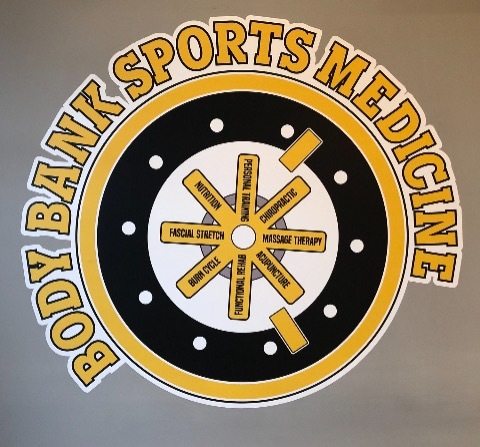 The positive environment we have created at Body Bank Fitness will have you feeling at home the minute you step into our facility.